It's that time of year. As the chilly weather is setting in for many of us across the country, nothing warms our bellies and souls more than curling up with a big bowl of soup. I've rounded up some of Joyously Domestic most-popular recipes for soups, stews and chowders - all right here in one post. 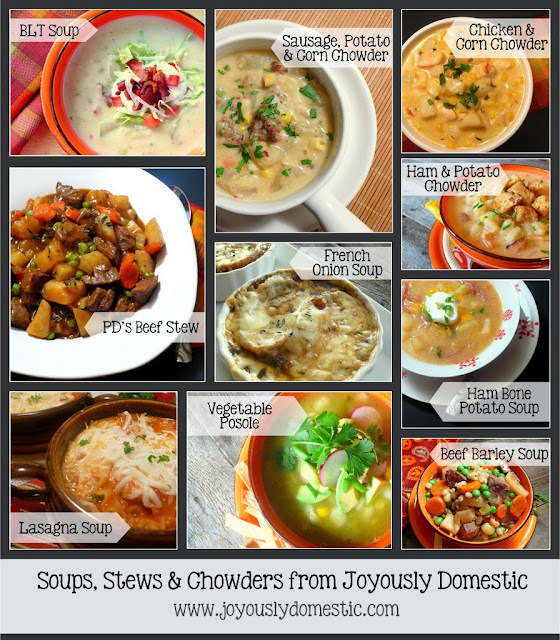 There's sure to be something here for everyone ... from creamy, thick chowders to healthful, broth-based soups. Some are written for the slow cooker and others come together on the stove top.